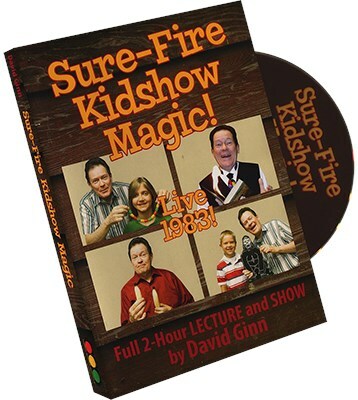 David Ginn defines "sure-fire" as something guaranteed to work. Everything on this DVD, taped at Clown Camp Lacrosse in June 1983, works wonders to make children laugh and applaud and love the performer - you! The first 70minutes is all David Ginn magical show & tel. Then the staff brought in a live children's audience, and David performed a 35 minute show to prove his teaching with real children. Excusing the children after the show, David goes on to explain more magic and comedy, with an inspirational true story closer.